A year on from one of the most disastrous tech launches in history, Samsung is back with a successor to the smartphone that kept catching fire. The Galaxy Note 8 has been released in Ireland with promises from Samsung executives that it will not overheat, cause a fire hazard or be banned from planes. Whereas the Note 7 caused injuries, worldwide travel warnings and an unprecedented public relations disaster for the world's biggest phone company, executives now swear that the new phone is "completely safe". "None of us will ever forget what happened last year," said Samsung Mobile chief executive DJ Koh at the launch of the device. To make completely sure the phone won't see red, Samsung has even reduced the size of the battery to less than that of rival handsets on the market. "Safety is the most important thing," one Samsung demonstrator told the Irish Independent at a hands-on preview of the new device given to this newspaper. Samsung has about three weeks to see if the public is ready to accept its new phone, with Apple reportedly set to announce its iPhone 8 in mid-September. The Note 7 fiasco cost the Korean company up to €6bn and briefly lifted arch-rival Apple into top spot as the world's biggest phone maker. Since then, recent Samsung models such as the Galaxy S8 and Galaxy S8 Plus have restored the company's fortunes. However, the Galaxy Note 8 is €999 at launch, making it the most expensive new handset ever launched in Ireland. Samsung is hoping some key new features will make punters overlook the high price. These include facial and iris-scanning technology as well as higher levels of artificial intelligence. Read more - First Look: Can Samsung overcome its overheating problems with the new Galaxy Note 8 phone? However, the main new feature is the Galaxy Note 8 has the biggest screen - 6.3 inches - of any mainstream phone on the market. This makes it a replacement device for some tablets and laptops, as Ireland has the highest number of people watching TV and movies on their phones. To stop the phone being a brick, Samsung has stretched the screen out to the sides of the device so that the overall size of the gadget is no bigger than other large phones which have smaller screens, such as the iPhone 7 Plus. The Note 8's other main selling point is an advanced new camera system that is optimised for shaky hands and low light. The Galaxy Note 8 has two cameras on the back of the phone rather than just one. Both of them are 'stabilised', meaning they don't capture blurry pictures just because your hands are a bit shaky. Samsung also believes that the phone's built-in S-Pen stylus will win over some workplace customers, as it can do advanced things like translate web pages from a different language. 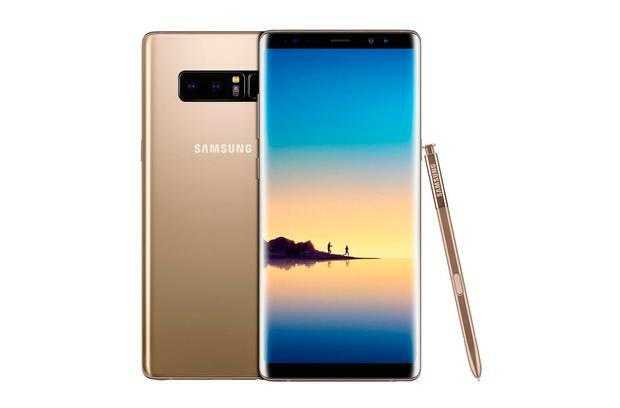 "The Note 8 is arguably Samsung's most important smartphone launch in its history," said Neil Mawston, executive director at research firm Strategy Analytics. "After the Note 7 battery fiasco, Samsung has been given a second chance by consumers and the company must not screw it up." The phone isn't perfect, with a relatively low memory storage limit of 64GB. While the device lets you store extra photos or videos on a memory card, this isn't as fast or reliable as a high storage phone from Apple or Huawei. Nevertheless, if it can keep from exploding, Samsung has arguably the hottest phone of the year on its hands. "I know lots of loyal Note series customers, they were so disappointed," said Samsung Mobile chief Koh earlier this year. "Disappointment is deeper, the expectation is higher, so I must meet their demand and their expectation through the Note 8." 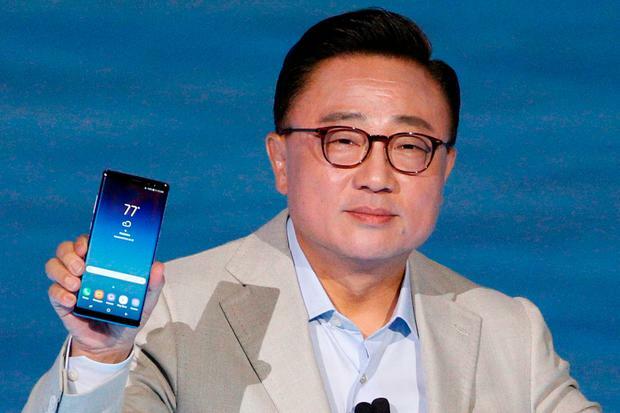 The Note 8 comes as the de facto head of the Samsung conglomerate, Jay Y Lee, remains on trial for alleged bribery and embezzlement in Korea. Despite this, Samsung's ability to sell hardware and earn profits remains intact. Its last quarterly financial results showed that its sales rose 20pc and it made a record €8bn in profit. First Look: Can Samsung overcome its overheating problems with the new Galaxy Note 8 phone?